Located near Saswad, only 2 hours away from Pune, Malhargad is a quiet, less-explored and perfect for small treks. Known as the last fort built by the mighty Maratha Empire, Malhargad offers a scenic view of Pune city and the humble Sonori village. 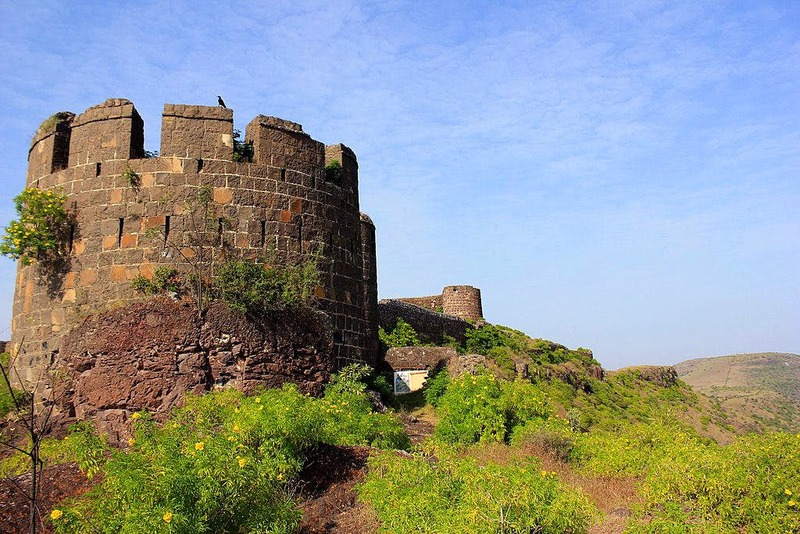 It's because of this Sonori village that Malhargad is also known as Sonori fort. The trek to the main bastion of the fort is hardly of an hour. The fort in comparison to others around Pune is in a better condition when it comes to the walls, watch-towers and other major buildings. Malhargad also has two different and old temples and a number of water tanks, which are clean and filled with fresh water. Apart from a scenic view of Pune city, you can spot other historic forts from here too. They include, Sinhagad, Purandar and Vajragad. At the base of the village, there’s also another historic palace known as Panse Wada. Even if most of this palace is in ruins, it's still pretty exciting to be at it. There’s really less chance for you to find anything to eat around Malhargad. We recommend you pack a picnic or eat at dhabas you pass on the way.